"I specialise in providing the most suitable product to meet your expectations and requirements. This may be to purchase the home of your dreams or simply structure the finance to your needs." 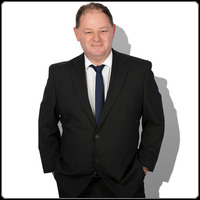 My name’s Mark Harrison and I’ve been working in the finance sector for over 25 years. While I live in the Tweed Heads area, I’ve worked all over the Gold Coast during my Banking career. After working for the major Banks, I’ve found the best part of my new role is that I can assist almost everyone. No longer do I have to provide one solution from the bank I worked for. I now have access to over 30 lenders and am confident I can help you. If your lending request is outside the normal guidelines of a traditional lender, I’ll go the extra mile to find a solution. I’ll act in your best interest to find that solution,and work with the lenders to ensure that I can assist. My office is located in Tweed Heads South however I am very much mobile so I can cover the entire Gold Coast & surrounding areas. Living in Tweed Heads also allows me to work in my local area, the entire Tweed Coast and Northern Rivers areas. With over 25 years experience within both the finance and property industries, I know how to find a solution for your needs. I’m committed to look after you and will be committed to finding that solution for you. Why seek a finance solution from me? Having been a specialist in mortgage lending since 1995 it’s provided me with the experience in dealing with thousands of lending scenarios and lending transactions which included some varying challenges along the way. I understand the importance of getting the right loan, for the right investment or business decision, including the stress it can cause. This is why I simplify it for you by doing the groundwork on your behalf. I will keep you up to date with the progress of the loan and continue to answer any questions or concerns you have. Given there are hundreds of loans available for hundreds of varying scenarios my discussions with you will help you determine how best to move forward with your financial decision. Once this is done the choice of lender and product becomes clearer based around who fits you. My services are mobile throughout Brisbane, Gold Coast, Tweed Coast & into Northern NSW which means I can come to you at your home, work or somewhere else convenient for you. I will also visit after hours and on weekends. If you live of work too far away we can also handle things via the phone, fax or email – more time saved for you! I will never expect you to take time off work (maybe without pay) and travel to me. Instead I pride myself on being different to the Banks’s and would be embarrassed to ask you to spend your time and expense travelling to me.